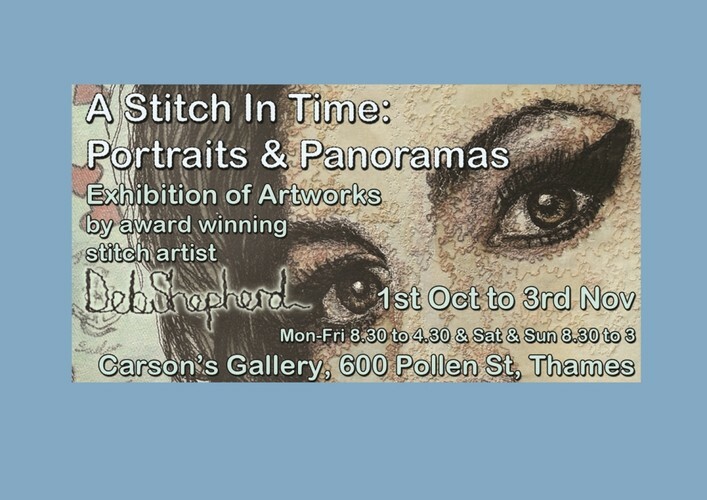 A solo exhibition of unique artworks, by award winning artist Deb Shepherd, created using the technique of free-motion stitch and mixed media painting. Panoramic views of local street scenes, alongside large scale portraits of music icons, capture a moment in time. This exhibition runs throughout October in the newly opened Carson's Gallery in Thames.